Susan Huber helps clients navigate employment disputes and compliance issues. She counsels employers on a variety of employment and human resources concerns, including discrimination and harassment claims, wage and hour compliance, hiring and termination, executive compensation, noncompetition agreements, and policy development and administration. Susan also advises clients on employment issues arising in the context of mergers, acquisitions and joint ventures. Her litigation experience includes representing employers and executives in employment and business disputes in federal and state trial and appellate courts and through arbitration, and she has handled matters before administrative agencies such as the Equal Employment Opportunity Commission. Susan also assists clients in internal and governmental investigations. In addition, she provides employment law training to managers and employees to help reduce litigation risk. Susan co-chairs the firm's Employment and Labor Practice Group. Before joining Robinson Bradshaw, Susan earned a Master of Library and Information Science. Her library experience makes her an effective and creative researcher in complex matters. 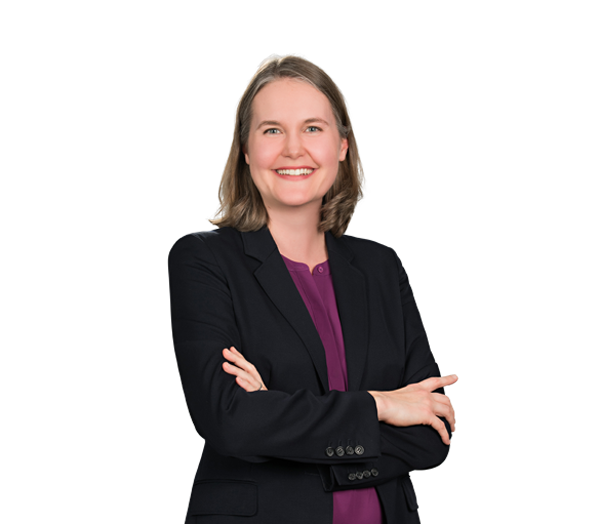 Susan also served as a law clerk for federal judges at the trial and appellate courts, gaining insight into strategies for successful pre-trial, trial and appellate practice. Represents clients in cases alleging discrimination in violation of Title VII and state laws. Defends employers against charges of discrimination brought before the Equal Employment Opportunity Commission. Advises employers across various industries—including manufacturing, health care, motorsports, construction, education, food services and nonprofits—in developing and maintaining sound employment policies and practices. Represented a hospital in a federal action brought by three female physicians alleging unequal pay in violation of the Equal Pay Act and Title VII. Represented a health care system in an action filed by 90 physicians seeking to form a new medical practice and asserting claims for unfair competition under state law and for a declaratory judgment to invalidate the restrictive covenants of their employment agreements. Defended a health care practice in an arbitration action brought by a former physician employee alleging breach of employment contract and failure to pay incentive compensation. Defended restaurants in matters brought by former employees alleging gender discrimination and sexual harassment. Defended a hospital in a case brought by a physician alleging retaliation in violation of the First Amendment of the U.S. Constitution, breach of contract and tort claims. Secured dismissal of race discrimination action against former employer in federal court. Represented a manufacturing client during investigation by the Federal Trade Commission and defending related class action antitrust litigation.